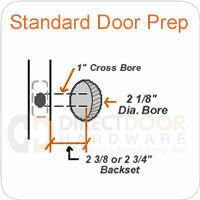 3-1/2" Commercial Plain Bearing Hinge with rounded corner 1/4" radius. 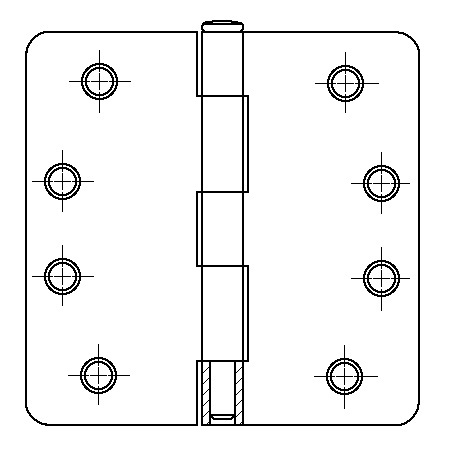 This hinge is for light commercial or heavier residential applications. All steel base material. Features non rising steel pin with button tip and plug. Heavy 0.09 Gaugethickness. Five knuckle design. Gauge of Metal - 0.09"
Wood Screw Size - #9 x 1"